Unpurified drinking water. Improper use of antibiotics. Local warfare. Massive refugee migration. Changing social and environmental conditions around the world have fostered the spread of new and potentially devastating viruses and diseases—HIV, Lassa, Ebola, and others. 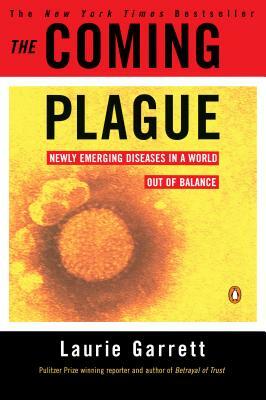 Laurie Garrett takes you on a fifty-year journey through the world's battles with microbes and examines the worldwide conditions that have culminated in recurrent outbreaks of newly discovered diseases, epidemics of diseases migrating to new areas, and mutated old diseases that are no longer curable. She argues that it is not too late to take action to prevent the further onslaught of viruses and microbes, and offers possible solutions for a healthier future. Laurie Garrett, science and health writer, winner of the Pulitzer, Polk, and Peabody Prizes, is the author of The Coming Plague and Betrayal of Trust.